In late 2015, CFI was awarded the MOTS (Mobile Tower System) program for Air Traffic Control, based on CFI's proven capabilities. CFI is the prime contractor on a Build-to-Print Army contract for MOTS. This is a stand-alone ATC system with all necessary secure and jam resistant communication systems and support equipment. The modular MOTS includes the controllers' shelter, portable 36kW power generator trailer, airfield lighting system, and meteorological sensors. 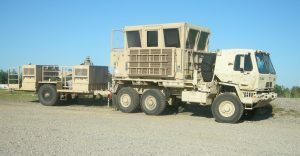 Provisions to remotely command airfield operations, including control of existing airfield lighting systems combine with the MOTS' ease of transport and deployment; from armored vehicles within theater.